This morning's red post collection includes a mouthful of discussion on Tahm Kench, Scarizard and friends with a patch rundown for 5.12, Meddler commenting on the Fiora updates that are in production, Lyte commenting a new Team Builder experience, a hint at an upcoming Bilgewater event, and more! 6/23 PBE Update: Tahm Kench, Master Chef Tahm Kench, Gentleman Gnar, and more! Following his champion reveal and PBE debut, several Rioters dove on to reddit and the boards to talk about our next champion Tahm Kench, the River King. He also tweeted out a link to him pronouncing Tahm Kench . "Yeah--devour in any shape or form has been a thing we've been keen to get on a kit for a while. It was on Gnar's kit last year." "Tahm can be CC'd while he's got a unit devoured. Tahm can devour units (friend or foe) that are themselves CC'd. Units devoured by Tahm are untargetable, so can't be hit by further CC while inside his belly." "He can't eat baron, dragon, blue or red buff. Everything else is on the menu. "Same as Swain - Fiddle will keep on ulting and do his AoE thang." "Works with Kennen too! Plus you get movement speed toward the enemy with an ally in you"
"That's a channel. Channeling allies are immune to devour." "You can spit allies. Enemies are deposited right in front of you." "Currently allied devour lasts up to 6 seconds at max rank!" "Teleport and flash are disabled with a unit in your belly." "You can't use lantern with an enemy inside of you :("
"Keep in mind Tahm Kench is heavily slowed when eating an enemy champion and still has to stack his passive beforehand. 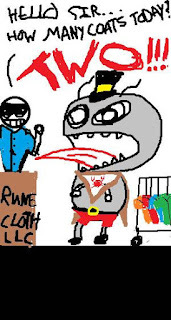 He doesn't have NEARLY the same kidnapping potential of Skarner." "Yes. We're going full clown car! You can Kalista ult a Tahm who has eaten the enemy Kalista who has ulted her support. clown noises"
(I'm not even joking) (enemy Lucians stop ulting though; it's a CC for the enemy)"
"Nope! They're not consumed by the Q. They're only lost when they time out, or when Tahm Kench eats an enemy champ"
" You can only apply passive stacks to enemy champions." "No damage on arrival. It's purely a Taxi skill--think Twisted Fate ult with an ally, but much slower. As for stuns, nope; you cannot make Tahm drop what's in his belly other than by killing him." "No, the ult is disabled while he has a target in his belly. Sorry!" "We initially made him as a top laner, but ally devour was just too good. He WANTS to be a support. I still think he works in top lane." "The way designers think of these things, they create champions of a certain role that is, to some degree, position agnostic. I believe Tahm was a tank first and foremost - as it happens, he can be played in the top and support position." ":) Tahm has a ridiculous amount of VO. He also has 46 (i think) enemy specific taunts and 46 ally specific taunts. You're going to want to spam taunt in game to find out who has them! Also, Tahm has an unique aggressive mode where he'll play special lines - more aggressive lines when he has at least 2 stacks of his passive on someone or an enemy has been devoured. He has aggressive move, attack, and basic attack efforts for when he's in this frequent, but short lived mode. He'll also have some lovely critiques on the flavor of enemies he spits out ;)"
"I believe we recorded lines for almost everyone, but had to cut down for size and quality...some were better than others." "Nah it's always been Tahm. I believe Tamm was translated back from Mandarin? The leak was totally non-malicious, by the way. Just an honest oopsie on our partner's side, and it only made us release the teaser a few hours early. In the grand scheme of things, really really minor. First champion I worked on that didn't get majorly leaked!" "Actually, we are doing this for Tahm! Insights used to be a part of the reveal, but for this guy (and potentially all champs in the future) we're separating and making it a longer article you'll see in a couple of days." "During concepting, we decided that one coat would never do for a champion as enormous as Tahm." "We decided, in his back story, that he sewed two coats together. You can still see this on his model. His code name was "Two-Coats""
 "And as always, the inimitable @RiotFeralPony made us some placeholder loading screen art: "
"It used to be a fez. FEZ TANK!" "Funny you say that! Chris Campbell was the concept artist on both of these. His next design, though... but we're getting ahead of ourselves." With 5.12 out on live, Scarizard, Jatt, and Zirene are back for a patch rundown discussing some of the larger changes in the recent patch. "Join Scarizard, Zirene and Riot Jag as they discuss the upcoming changes to inhib turrets, mage junglers, Elise, and a certain root-tastic blue man." "Fiora's being actively worked on right now, both in terms of gameplay and art adjustments. She's not one of the next updates out (those'll be GP and MF), but will probably be one of the next updates after them. On the gameplay side the guiding pillar's remained 'Grand Duelist', with abilities focused on dueling enemies, with speed and timing emphasized. Single target damage and mobility are likely to remain her strengths. She'll probably end up with a bit of situational CC and a bit more disengage than at present, though in exchange have a somewhat less guaranteed combat pattern (e.g. we've been testing a Q dash that's free targeted, rather than certain to hit once cast). In terms of existing weaknesses we expect she'll continue to lack AOE power and will still be a non tanky melee damage dealer. More details/discussion to follow closer to her release of course." "In a change set like the AP item changes, with so many moving pieces, it's a bit unclear to what extent champions will be buffed/nerfed and more importantly to what degree. While sometimes it's useful to address champion balance preemptively, that can sometimes be a trap - we saw this pretty recently with the DFG removal. We vastly overestimated the effect of removing DFG (which did next to no real change for almost all the champions power levels) - and the compensation buffs we included in that patch (Ex- Ahri) were totally overkill. It's also possible if a specific item is out of whack after the changes we would make a followup change to the item, instead of changing the X champions it impacted. That said, there are a few champions we're keeping a close eye on that could be buffed by a good margin after the changes (Vlad and Rumble are among them) which can addressed in the next patch once we as designers, and folks in the community have a better grasp of the impact and adjust to the changes. Don't you think it's better to preemptively nerf? Since if they wind up overpowered they'll dominate games for the entirety of the patch, but if you accidentally make them underpowered you would still get an above-average amount of data since everyone on day 1 wants to try their "old main" [insert champ here] who got "majorly buffed" by item changes. Depends there are two basic approaches if you're convinced a champion will get a significant power spike after an indirect change. 1- You pre-emptively change a character. This can be potentially a perception problem if the community disagrees with the assessment, or a balance problem if you're wrong. 2- You wait and assess the changes. This runs the risk of not reacting quickly to problematic game balance states, but since we patch often this risk is relatively low, but gives the bonus of being able to learn from the changes and make a more informed decision. However, if you're uncertain of the extent of the changes, like in this case, taking action in an uncertain system muddies the waters, making it more difficult to understand what actually happened, and can backfire heavily if you're wrong. As a result we're choosing the wait and see approach, so we get a better understanding of the impact of the changes before taking action." "We're going to try to get the new Reform Systems out in Turkey, Russia, Latin America, Brazil and Korea this Thursday. #LeagueOfLegends"
 "Oceania has a few issues we're working through to launch the new Reform System there, but shouldn't be long. #LeagueOfLegends"
"We've changed a couple fundamental things in the new Team Builder experience that addresses this problem too. 1) Players will only have to choose 2 Positions (i.e = Top or Jungle), and we'll create a team based on players' preferences. We're still playing around with whether 2 positions is the right number. 2) By popular demand, we're introducing a new "Fill" position for players. 3) Players will no longer need to choose a Champion before entering the new Champion Select. These are just 3 of the tweaks to the new Team Builder experience that make it a much faster, much more streamlined experience (and still fun and understandable to new players in League). We'll be talking about some of the bigger changes to the actual Champion Select in the near future. We hope that players prefer this experience to every other queue when it comes out! As a side note, because we're already deep into the new Team Builder experience, we're not going to backwards patch or fix "Team Builder Classic" and will just leave it as-is until we replace some of these older experiences with the new Team Builder." "We're calling it Team Builder Draft right now, and it'll be the new Normal Draft and Ranked experiences in League in the future." "Definitely a thing. We're focused on it as our main project right now." "We're still figuring out the roll-out plans, but the "ranked" version of the Team Builder experience is pretty damn fun." "The new Instant Feedback System will handle intentional feeders pretty soon. Our goal is to stop intentional feeders by their 2nd or 3rd games." In the future, we'll do a small update to it so that when players fail to connect to a game and a game starts 4v5, we'll allow players to just reboot the game without penalties." After being unlocked by the community during the Team Up week event, all players are eligible to received a free Mystery champion by July 1st for linking up to the Friend Discovery feature. Here's Riot NaKyle with a rundown on the reward and how to sign up! "Ding! The community’s moved past level 3 during last week’s Team Up and Pool Party. 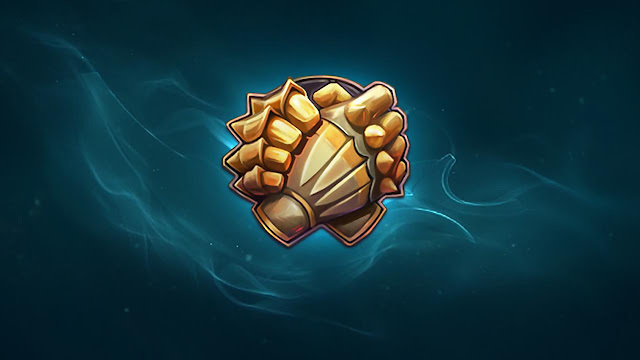 That means everyone can nab a Mystery Champion (a random champ you don’t own, unlocked for free) by connecting League and Facebook. Friend discovery’s only function is to surface IRL friends that also play League. Add ‘em or not, it’s up to you. You can find the friend discovery feature when you click the “Add Friends” button in the client’s social pane. We expect to ship out the Mystery Champions by July 1. If you’ve already signed up for the feature since it’s launched, you’ll unlock a Mystery Champion too. If you’ve got questions about the feature, we’ve got a FAQ for that." Last up we have an rather interesting red post that went up early yesterday but was quickly deleted. The now deleted thread is titled "Building Buther's Bridge: the Bilgewater Event". This thread linked to an empty new page with the same title. This page popped up in the announcements board and was also visible in the red tracker for a very short time before being removed. No other information is available, although it certainly does seem like the sails are almost set for Bilgewater fun considering Gangplank and Miss Fortune are also on the champion update schedule.